Not a particularly long hole but a good drive is essential. 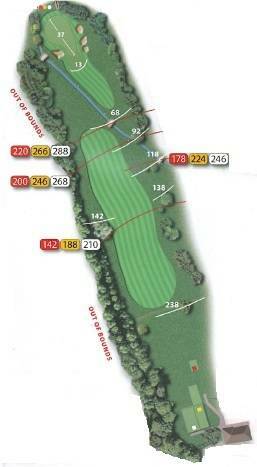 Watch out for ‘out-of-bounds’ on the left and the burn running across the fairway. With the well protected front it is always best to go for the middle of the green!